clinical law professor « Hercules and the umpire. There are a lot of really good clinical faculty at the law schools throughout this country who also get into the trial courtroom frequently. Today, I highlight one of those persons. Steven J. Schmidt is an Associate Professor of Law at Nebraska. If memory serves, he received tenure last year. He also holds a courtesy appointment as an Associate Professor of Forensic Science. Professor Schmidt is responsible for the Criminal Clinic. In the Criminal Clinic 3rd year law students are assigned misdemeanor and low-grade felony matters to consider whether to charge and, if charged, to prosecute. Schmidt supervises the students from start to finish. He participates with the students in their daily criminal court appearances including arraignments, preliminary hearings, bond reviews, docket calls and sentencing proceedings. He is with the students in bench trials and jury trials. With students, Professor Schmidt regularly conducts jury trials on child abuse, assault, carrying a concealed weapon, resisting arrest, theft, forgery and felony drunk driving cases. His classroom duties include teaching the students the steps of the criminal justice system in Nebraska from charging through sentencing. He also instructs the students on prosecutorial ethics and professionalism. In addition to his regular teaching duties, Professor Schmidt is also heavily involved in an ongoing project with the National Autonomous University of Mexico (UNAM) and the College of Law. At UNAM, he assists as Mexico transitions its criminal justice system from a mixed inquisitorial to an oral adversarial model. He spends several weeks each semester in Mexico City teaching advocacy skills and working on that project. Among a long list of other presentations both in the United States and Mexico, in the last year Schmidt has served as Conference Organizer and Presenter, Teaching Oral Trial Skills: Superior Court of Justice, Mexico City, MX – a 5 day workshop and he has served as a Presenter, Teaching Advocacy in an Overseas Environment, Educating Advocates: Teaching Advocacy Skills, at the Stetson University College of Law, Gulfport, FL. Schmidt received his B.S. degree in 1987 and spent the next eight years as an infantry officer in the United States Marine Corps, receiving various decorations including the Combat Action Ribbon for combat operations during Operation Desert Storm in Kuwait, He received his M.A. degree in 1994 and his J.D., with distinction, in 1998. From May of 1998 through May of 2006, he worked as a prosecutor in Lincoln, Nebraska. As a Deputy County Attorney, he primarily prosecuted sexual assault and domestic violence cases, but also handled a wide variety of other felony and misdemeanor cases including a murder case. As a line prosecutor, he tried lots of cases to juries. 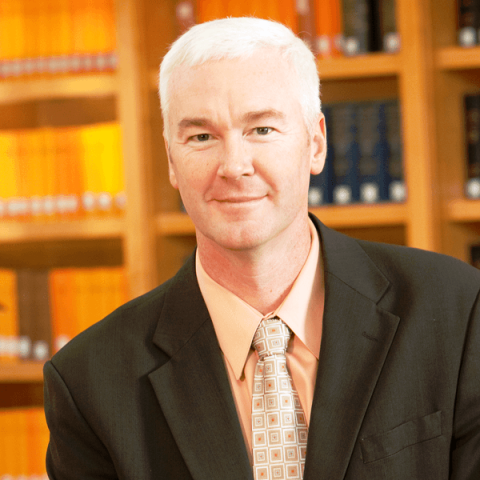 He joined the faculty at the College of Law in June of 2006. Schmidt is an active member of the bar. In 2009, he was elected President of the Lincoln Bar Association. He also served as President of the Robert Van Pelt American Inn of Court and that Inn awarded him the Warren K. Urbom Mentoring Award. Nationally, Professor Schmidt presently serves as an “At Large” Trustee of the American Inns of Court. I conclude with a personal note. Long ago, Professor Schmidt was a student in a course on trial advocacy that I taught. He was my best student. I knew he would become an exceptional trial lawyer. Like many superb trial lawyers, Professor Schmidt has become a great teacher too.